John was originally from the Philadelphia suburbs of New Jersey. Escaping the cold and taxes of the Northeast, John, with his wife and two daughters, made the move to Myrtle Beach in 2009. 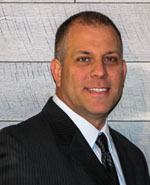 Prior to moving to South Carolina, John worked in the construction industry as a heavy equipment mechanic maintaining construction equipment while taking on numerous remodeling projects. He took this knowledge and applied it to a new avenue to develop his passion. John has worked under and been coached by Greg Harrelson, ranked in the top 1% of real estate agents nationwide. John implements the same proven marketing and sales techniques that have made Century 21 The Harrelson Group the #1 company along the Grand Strand since 2008. This aggressive marketing plan puts your property in front of as many potential buyers as possible. This increased exposure is the number one way to generate the highest possible offer on your property with the ultimate goal to put the most money in your pocket. From listing to closing on your property, John implements a team of professionals to take care of every aspect of the transaction. From professional photographs to home inspections and final closing, every aspect is handled by a dedicated professional team member to ensure that your final goal is achieved. Regardless of hiring him to buy or sell your property, he educates his clients on the aspects in the market that matter the most. From shortages to potential shifts in the market, John is constantly studying our local market to know exactly what is happening and what to expect in the future. He gives the utmost of individualized service by determining the expectations of his clients and ensuring that he checks all of them off the list. When John partners with you in your real estate needs, you can rest assured that you will receive 100% of his attention, a true team player who will fight to the end for you.